For What It's Worth: The Ultimate Reviewer's Challenge has started!! The Ultimate Reviewer's Challenge has started!! 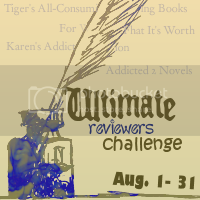 Karen at Karens Addictions, Tiger at Tigers All Consuming Books, Lena at Addicted 2 Novels, and I are co-hosting an event throughout the month of August called the Ultimate Reviewers Challenge! *You must sign up HERE first! *Enter the link to your review post- not your blog homepage and please enter what book you reviewed. *Example - For What It's Worth (Bring on the Night) * So people can find your reviews easily. *These must be real reviews, meaning more than just a couple of sentences describing the book. We'll be checking to make sure you're posting legitimate reviews! *No one review can be posted twice on the same blog. That doesn't mean you can't post the same review on each one of our blogs, just not the same review twice. *The review must be written in August. No using reviews you've already written! *You must be a blogger to participate. *There will be 4 Ultimate Prize Pack winners! One person will be picked from each of the hosting blogs at the end of the event. *Contest ends August 31st at midnight, CST. *The challenge is open INTERNATIONAL bloggers! *Rules and regulations are subject to change depending on current situations. Don't worry, you'll be informed. -Knight of Passion - Margaret Mallory *JUST ADDED! -13 to Life - Shannon Delany *with signed bookplate and bookmark *JUST ADDED! Throughout the event, we'll also be hosting mini-contests, interviewing some of your favorite authors and bloggers, and adding more books to the prize pack, so be sure to follow our blogs! I have a question...the reviews must be in english :x? Oh, I'm the first! My August started earlier than yours - I'm in the Netherlands (Europe). I finished the book yesterday evening and wrote the review this morning. Beleth - I will check with the other girls and get back to you! Leeswammes - YAY!! our first review!! Don't forget to link it on the other girls sites also! I like the new background too! My first review is up. I have posted my first review of the month!! Thanks for hosting this challenge. Beleth - English only. Hope you can still participate! About to post my first review of the month and link to you on this page....my question though - do I link each of my reviews of the month to THIS particular post on your blog? Or should each review be linked somewhere else? Thanks! aLmYbNeNr - Link your review here (be sure to include your blog name & book you reviewed in the "your name" box. *You can link this review here and also at Lena's, Tiger's & the other Karen's blogs (links at the top of this post)that way you'll be entered for each of our prize packs! *Next review - do the same thing and keep going for the whole month of August! *All reviews will be linked on this post. Yup! I linked to two of the other blogs already, but didn't think to put the name of the book I reviewed. It does take you directly to the review though. I'll remember to do that from now on! Question: Are we just posting one review for the challenge? How many reviews are we supposed to link? 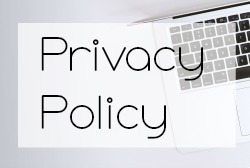 Kelli - You can post as many reviews as you want as long as they meet the rules listed above! *You can link your review here and also at Lena's, Tiger's & the other Karen's blogs (links at the top of this post)that way you'll be entered for each of our prize packs! I just posted my first review! Hope to have more later! Thanks everyone for posting links to your reviews and participating! Oh dear, I accidentally posted my blog URL rather than the link to my post. I'm no. 55, could you please remove my link? Just posted my first link :DD I better get back to reading! Have a nice day Karen! Question, do we link our reviews on all the host's site? Sas - fixed it - no problem! Missie - Yes, if you want to be entered for all the prize packs. All of the host have a different prize pack. We are each picking a winner from all the entries at the end of the month! Okay, got it. This is great! Thanks!!! Thnak you all for entering! Im reading ALL the reviews!! whew!! Thank you for giving us this opportunity. Just linked my second review! Thank you for hosting this. It is fun. Reading and Reading, what can be more fun. Thanks for having me. EEK! It's going to take all your spare time to read all these reviews, Karen! Just linked my first review- I read and review a lot- I hope I'm doing this right. Question: If I link to my review here, will it show up on the other's host's sites, or must I link on each site individually? Thanks again for hosting this! Just linked my second review. Maria - Yes, you have to link your review on each site individually to be entered into their contests. At the end of the month we will be using randomizer to pick the winner from all the reviews posted. I'm having a lot of trouble finding the linky on this site. I've clicked on several of the places where it says "Link Reviews Here" or "Sign up Here" but there's no Mr.Linky showing up. Mr Linky just posted that they are down for maintenance so check back later. Ths has happened a few times during the wee hours of the morning. arghhhh. Sorry! I linked - I think I might have linked twice - sorry if I did. Thanks for hosting. HEY GUYS! I have a "mini" reviewers challenge contest going on all week - so if your linking your review get your Mr Linky number then enter the contest - link is at the top of the page - uner my header!! Just added a link to my Clive Barker review. I reviews The Passage By Justin Cronin. Great book!! Thanks for this. I am a blogger linking up my book review of "The Seeker" by Ann Gabhart. <3 to you all for entering!! Wow, so many reviews to read from! I've entered my 4th review just now! 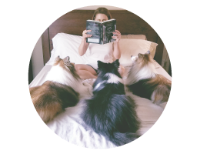 I just changed the name of my blog, but Kisha @ A Teen Bookie is also Kisha @ Books & Shtuff. Just in case! I posted five of my reviews on Mr. Linky about five days ago and now they aren't on the list. Boo-hoo. Do you know what happened to them? Posted my fifth and last review for the challenge. © For What It's Worth: The Ultimate Reviewer's Challenge has started! !